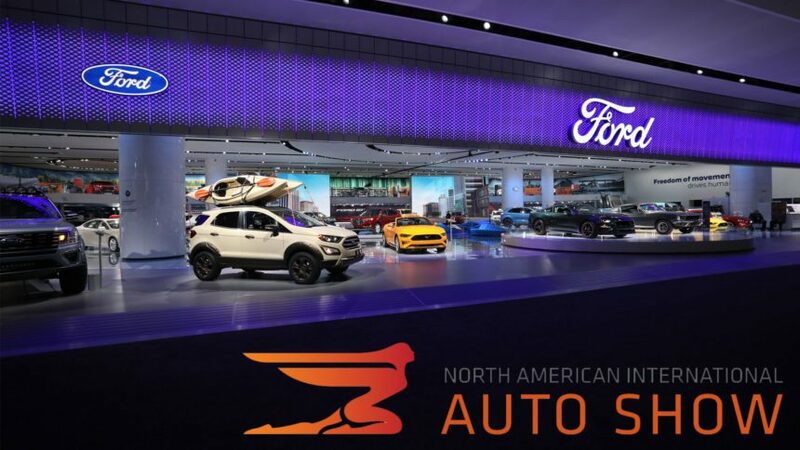 The North American International Auto Show (NAIAS) in Detroit, Michigan didn’t open to the pubic until today. However, with the press preview week wrapping up we wanted to give you an overview of all the debuts from this year’s show. Along with SUVs and crossovers, pickup trucks make up a majority of the US market. This is why getting it right is absolutely critical for Detroit’s Big Three automakers. The first truck to hit the stage (after a Bullitt — or two) was the new-to-the-US Ford Ranger. While the rest of the world continues to enjoy the Ranger, it left the US market in 2011 after 28 years in production. Ford had originally planned to continue the Ranger nameplate with a new model in 2012, but due to the new “One Ford” approach, the international truck was simply too close in size to the F-150. So for the past eight years, we’ve gone without. But with the renewed consumer interest in trucks like the Toyota Tacoma and Chevy Colorado, Ford once again sees a market for a midsize truck. Using the existing T6 platform of the global Ranger, the US-spec truck will keep many of the features that make it popular worldwide. However, even with a multitude of trim levels, it’ll face some stiff competition from a growing midsize pickup market. 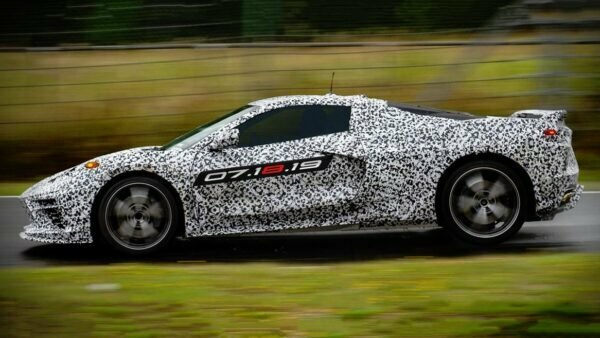 When it hits showrooms, only one engine and transmission combination will be offered: a 2.3-liter Ecoboost four-pot mated to a 10-speed automatic gearbox. Now power figures weren’t announced at the show, but with the Ecoboost Mustang and Focus RS using the same engine, expect right around 300hp. It is disappointing the truck doesn’t come with a diesel option though. 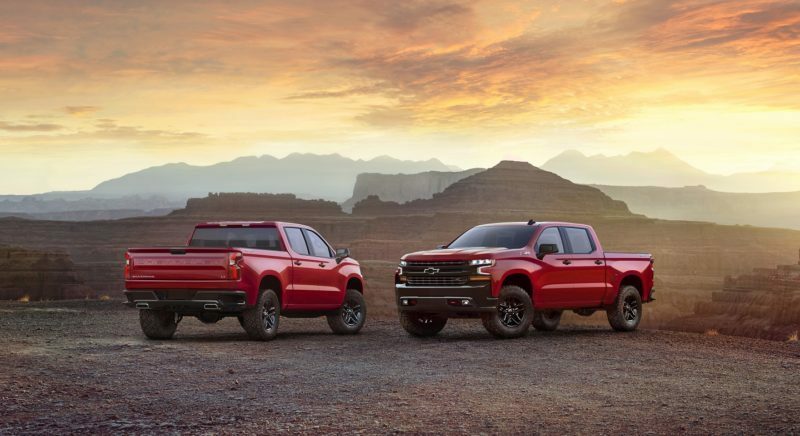 Chevy recently introduced the 2.8-liter diesel for the Colorado and rumors continue to swirl about a diesel Tacoma. Perhaps a year or two down the line, the option will reach the US shores. Also, keep your eyes and ears open for an impending announcement of a Ranger Raptor. With the truck hype high from the Ranger, GM then showed off its new Silverado 1500. This bread-and-butter product for Chevy is celebrating the 100th anniversary of the company’s truck line. To mark the occasion it wanted to pull out all the stops to make this the best Silverado yet. Using a mix of aluminum and steel the new truck sheds around 450lb over its predecessor. It’s a substantial diet, and in the fuel economy game, every little bit helps. Once it goes up for sale, buyers will have a choice of three engines. 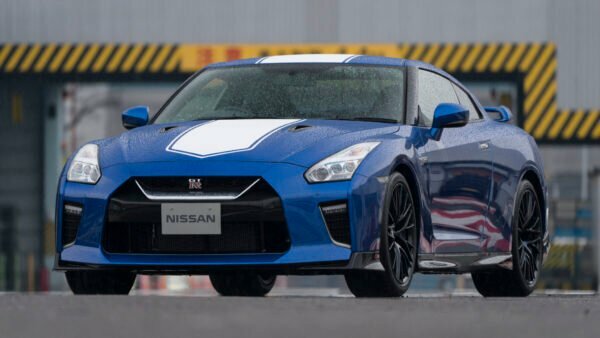 The 5.3-liter and 6.2-liter V8s are standard fare. Although they do come with a trick fuel management system that allows the truck to run on just one cylinder under certain conditions. The most exciting news though is the introduction of the 3.0-liter inline-six Duramax Diesel engine. Although no power figures were given, GM claims it will be the class leader when it comes to light duty trucks. With Ford recently releasing its own 3.0-liter V6 Powerstroke diesel, the competition will heat up between these two trucks for half-ton diesel supremacy. 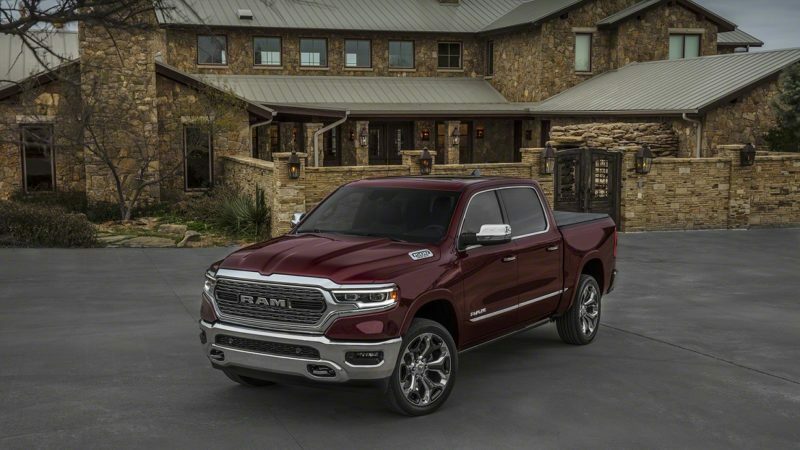 Finally, Fiat Chrysler made the official debut of the new Ram 1500. Unlike the Silverado, FCA opted for a more refined look on the new Ram truck. No longer do you get the semi-truck wannabe front end and crosshair front grille. Instead, the truck gets softer edges and a boatload of chrome. The interior is a huge step up as well. Using higher quality materials than previous Ram trucks, the cabin looks more like a car than a pickup. The most notable feature — which is hard to miss — is the massive touchscreen display on the center stack. At 12-inches it’s Tesla-level big. Even if the infotainment center looks a tad out-of-place, the most tech-oriented truck owner should love it. 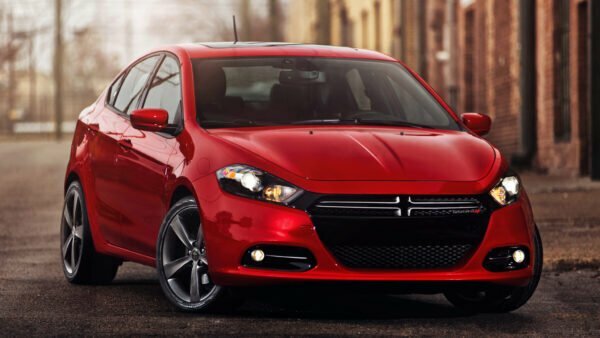 Engine choices include both a 3.6-liter Pentastar V6 and 5.7-liter V8 Hemi. While neither of those are revolutionary choices, the option for a 48-volt mild-hybrid system is. While it won’t match a Toyota Prius at the pumps, the hybrid system is more about adding torque on acceleration than saving fuel. According to FCA, on the V6 the eTorque system adds 90lbft of torque, while on the V8 it adds 130. This should make taking off from a standstill a little easier with a full load in the bed or heavy trailer in tow. Even though sedans are on the decline in terms of sales, it didn’t stop two new ones from dropping in Detroit. 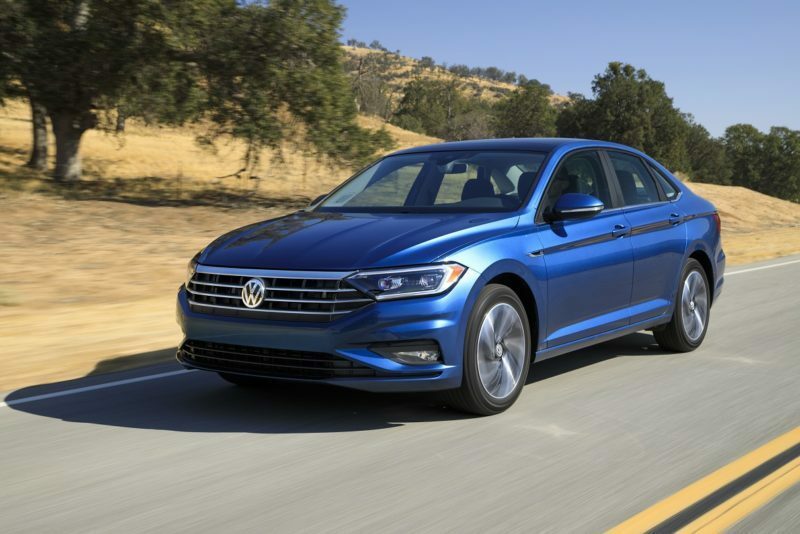 The first is the all-new Volkswagen Jetta. Like nearly every car from the Volkswagen AG, the new Jetta now rides on the MBQ platform. This means it’ll share components with everything from the Audi TT to the monster VW Atlas SUV and nearly everything in between. Also, in pure VW fashion, the design of the Jetta is just a scaled-down version of its bigger cars. It’s not exciting by any means but does look slightly more upscale than the outgoing model. The only engine is a 1.4-liter TSI four-cylinder good for 147 horsepower. A race car this is not, however, VW did tease an R version of the Jetta. Once that hits showrooms, expect the same 292hp 2.0-liter engine from the Golf R to make the leap. The transmission choices will make enthusiasts happy too. Alongside the eight-speed automatic transmission, a six-speed manual is also on the options list. While the press release doesn’t fully spell it out, it does make it seem like you’ll be able to get a stick even on the high-end packages. 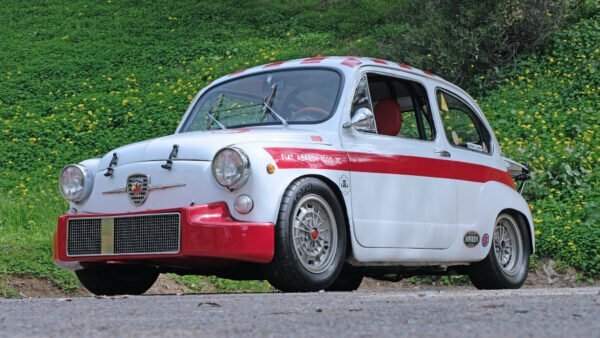 If you want to save the manuals, this very well might be the car you want to look at in the near future. Following the Jetta debut, Toyota took the wraps off its large family sedan, the Avalon. Now with 150% more grille, it looks like a basking shark eating its dinner. 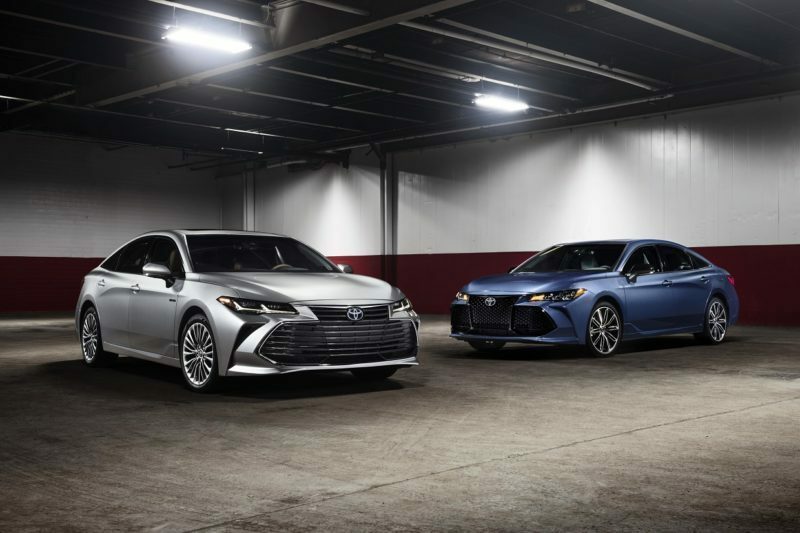 Once you get past the enormous mouth, it’s clear Toyota borrowed many of the design features from the sister car to the Avalon — the Lexus ES. The design isn’t the only thing that blurs the lines between the two cars. Now there’s an even smaller gap between the two, with the Avalon getting a bump up in premium features. A large nine-inch infotainment center and real wood interior accents are just a few of the upscale features. 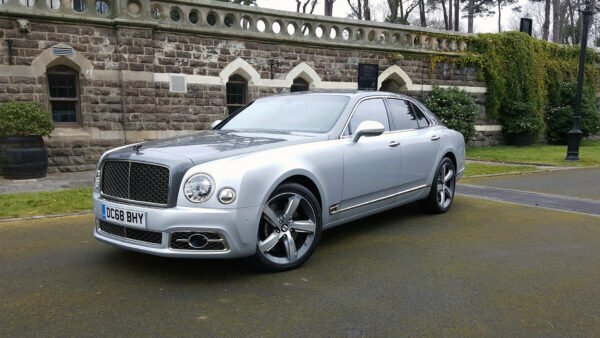 It also comes packed with all the latest tech from any luxury car on the market today. Naturally, one of these includes the newly-announced Alexa Onboard. Engine choices include both a 3.5-liter V6 and a 2.5-liter I4 mated to a hybrid system. Benchmarking other Toyota models with those engines, the 3.5-liter should be right around 300hp and the hybrid could see 40 mpg or better. Concept vehicles are always the highlight of any auto show. When designers and engineers are given free reign to do want they want often times spectacular things happen. However, in recent years the number of concepts to hit the show floor has dwindled — this is no exception for this years NAIAS either. The first concept we take a look at is from Infiniti. 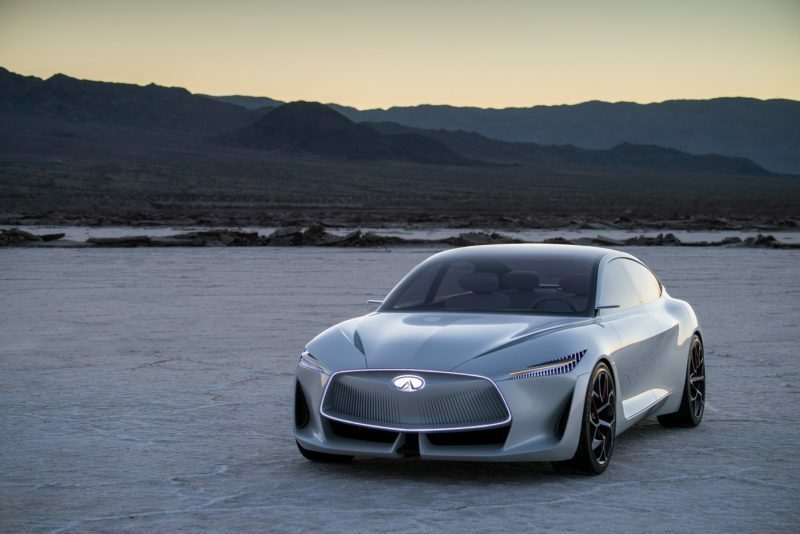 Called the Q Inspiration, it shows off the future for design language at Infiniti. While elegant, it shares many aspects with the current design language. This isn’t a bad thing, as the current crop of Infiniti products looks rather good. In addition to showcasing the new design, Infiniti also took the opportunity to talk about its new VC-Turbo technology with the Q Inspiration. Heralded as the world’s first production-ready variable compression engine, it promises to give diesel or hybrid like economy without reducing performance. Another key technology introduced with the Q Inspiration is the ProPILOT. Unlike other manufacturers’ systems, ProPILOT acts more as a co-driver than something fully autonomous. According to Infiniti, the ProPILOT will take away all the stressful driving tasks allowing the driver to keep their focus on the road. It didn’t say what those tasks were, but we assume it’s things like advanced cruise control and lane departure. 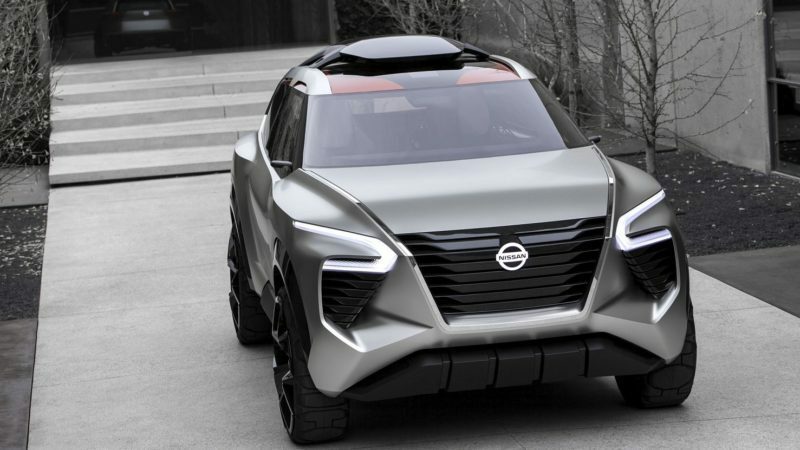 Also coming from the Nissan camp is the Xmotion SUV. We assume the intention behind the concept is for an Armada replacement. With three rows of seats and rather imposing looks, it fits the bill for the next evolution of the big SUV. However, given the name, which starts with X, rumors continue to swirl that it could become the next Xterra. The interior of the Xmotion reportedly takes cues from the Japanese landscape — although we can’t really see it. The best part about the interior though is the virtual assistant that helps with all the functions of the vehicle. To help continue the Japanese theme, the designers at Nissan made this assistant a koi fish. If you’ve ever wanted a fish to tell you where to go, cross your fingers this technology makes it to production. 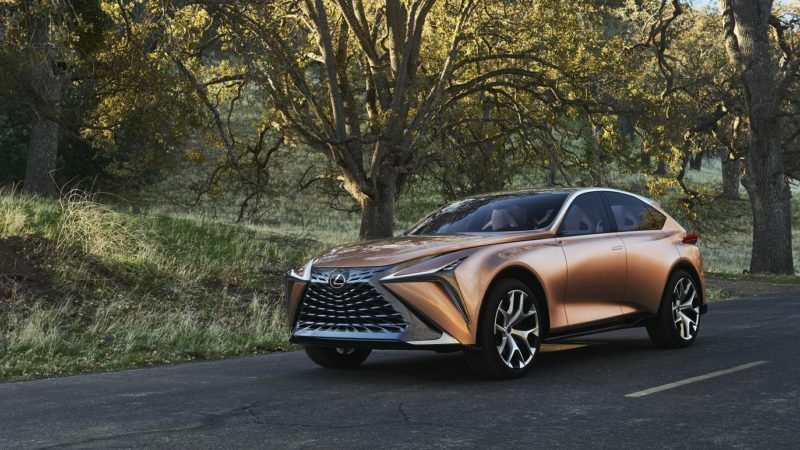 Another SUV concept to make its Detroit debut is the Lexus LF-1. Penned as the next step in Lexus design, the language is dubbed “molten katana”. Intended to look like the Japanese sword, it comes with several sharp edges and body lines. Apparently, this also means keeping the massive grille Lexus is now known for. The driver interface is the oddest we’ve seen too. All of the controls are either haptic buttons clusters around a tiny center stack or are on the steering wheel. Also, in a completely bizarre design choice, the vehicle is completely devoid of pedals. While it does come with an autonomous system, it’s not the reason for the lack of pedals. Instead, to help keep the driver engaged on the road, Lexus moved the accelerator and brake to paddles behind the steering wheel. The transmission buttons are also on the wheel for reverse and park. Surprisingly, this doesn’t make for as busy of a steering wheel as you’d think. There’s no indication of powertrain options. However, Lexus did say it intends for it to be rear-wheel drive. Detroit seems like a highly unlikely place for a foreign company to make any substantial debuts. 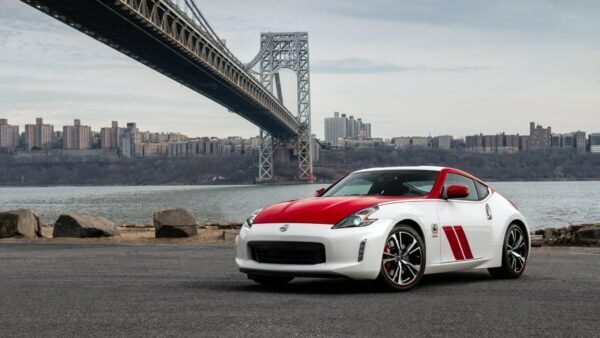 With much of the area still engrained in the American auto industry, rarely do these models go over well. 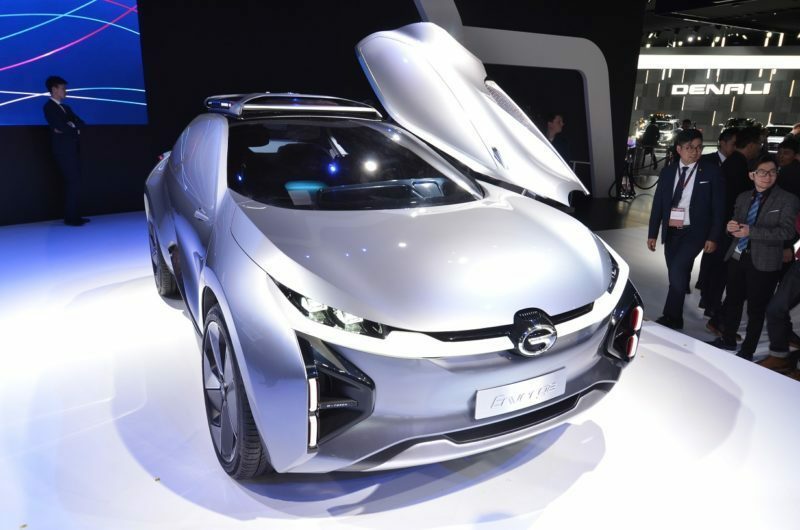 However, in recent years Chinese company have made a push to get their models into the NAIAS. This year was no exception. In its fourth year of coming to the show, GAC migrated from a dark corner in the basement of Cobo Hall to a full-fledged display. To kick off its upgrade in Detroit, GAC debuted its EV crossover concept. Called the Enverge, it lacks any form of side windows and looks suspiciously like a Toyota RAV4. In addition to the funky concept, GAC also brought a fleet of models for potential customers to check out. 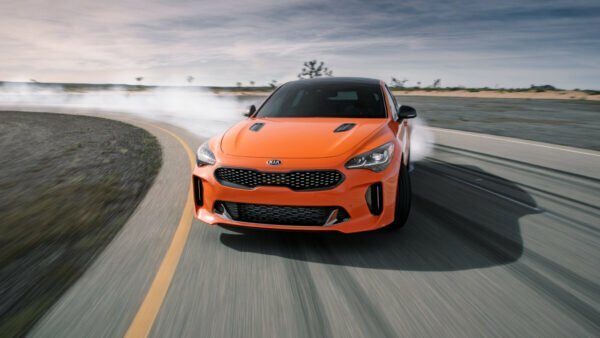 That’s right, according to GAC, it plans to start selling vehicles in the US as soon as 2019. However, President Trump and Senator Chuck Schumer (D-NY) might have something to say about that. Citing unfair tariff practices the president and Sen. Schumer are working on plans that might make it cost prohibitive for GAC to enter the US market. However, deep down we think the real reason is that President Trump isn’t a fan the GAC brand name in China: Trumpchi.